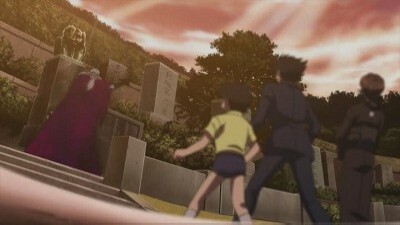 Titre original : Escape! 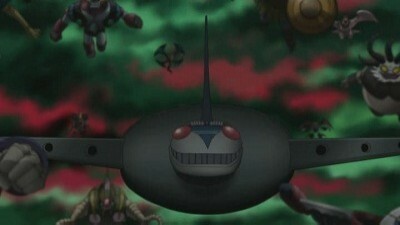 Undersea Fortress Saluud! 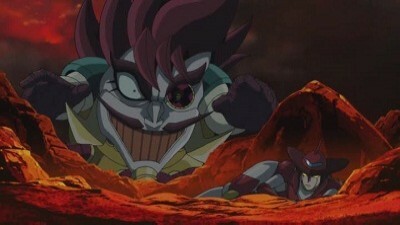 Having surrendered Mazinger Z to Baron Ashura, Kouji is handcuffed and locked in a cell in Undersea Fortress Saluud. 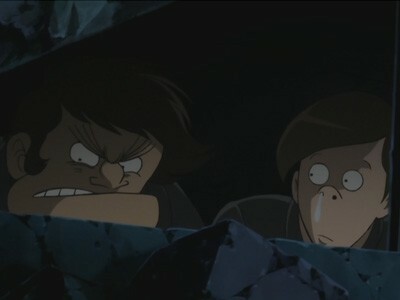 Boss, Nuke and Mucha on the other hand, managed to avoid detection by hiding in the Pilder. 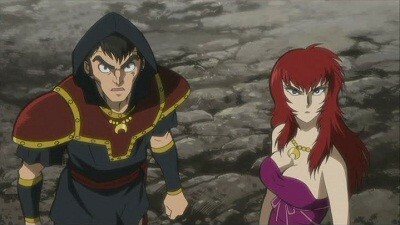 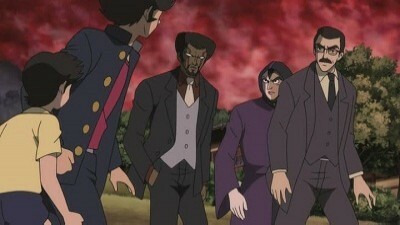 They break out, defeat several guards and then disguise themselves using their uniform to rescue Kouji and Sayaka. 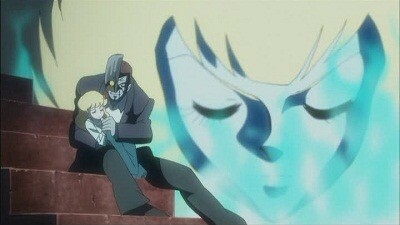 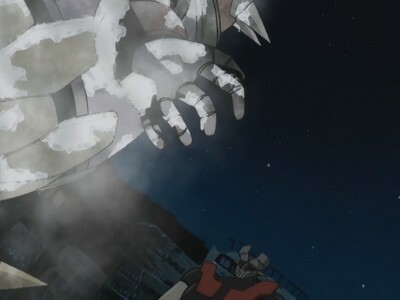 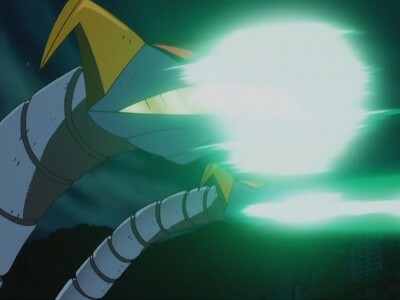 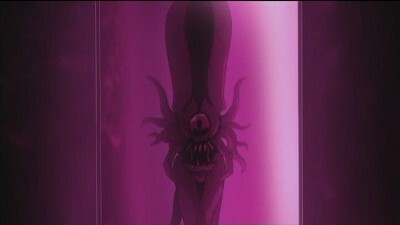 After freeing Kouji however, the Saluud comes under attack from Count Brocken and begins to sink. 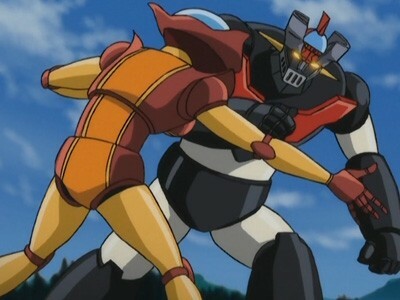 Eventually, Boss and Kouji rescue Sayaka and make it back to the Pilder and Mazinger. 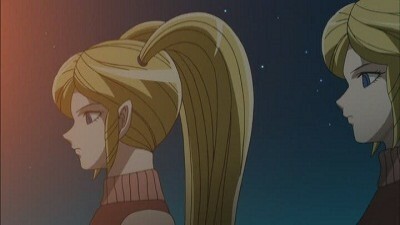 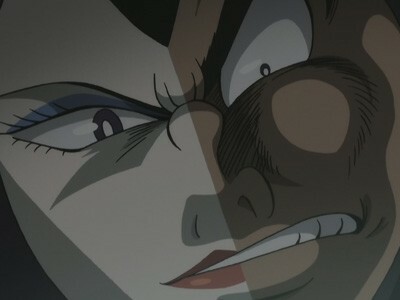 Before they can get there though, they are confronted by the fifth and final Gamia sister who is defeated by the joint efforts of Kouji and Sayaka. 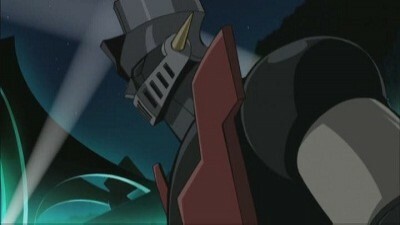 The group then get in Mazinger Z and prepare to escape, but not before Baron Ashura reveals that he had set the fortress to self-destruct. 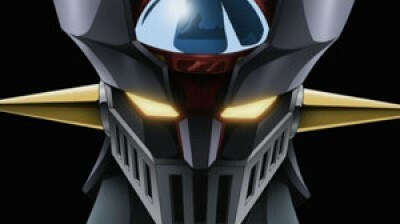 To make matters worse, when Mazinger Z escapes the fortress it becomes stuck in the soft ocean floor. 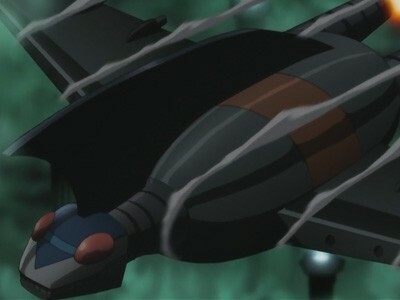 Before it is caught in the explosion, the Robot Corps arrive carrying the complete Jet Scrander and Mazinger uses it to escape from ocean and into the sky. 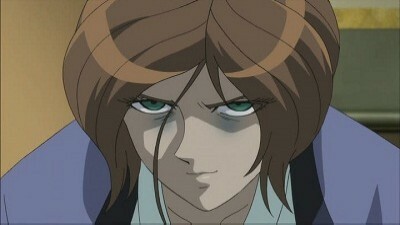 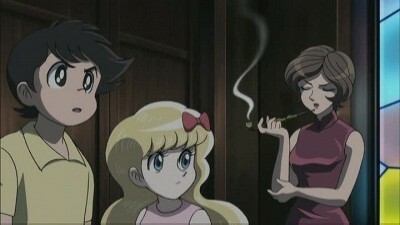 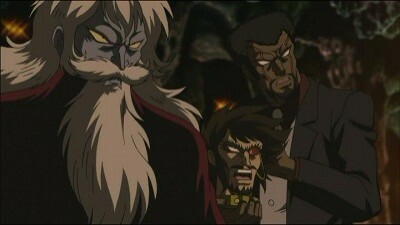 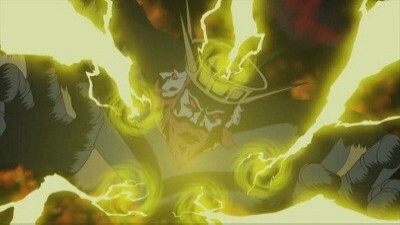 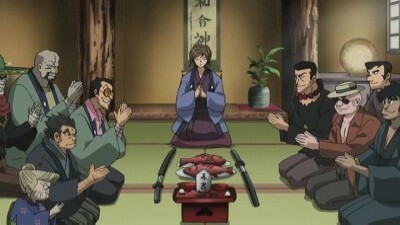 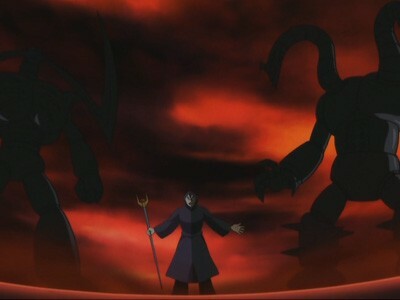 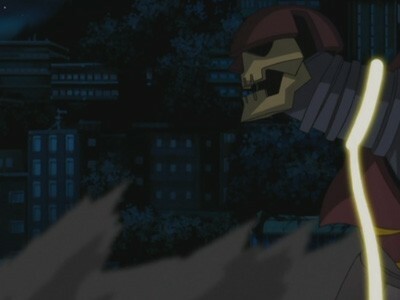 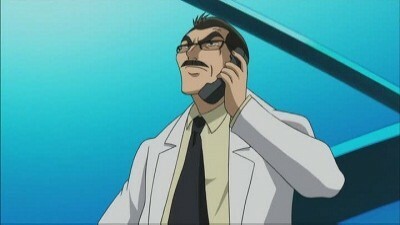 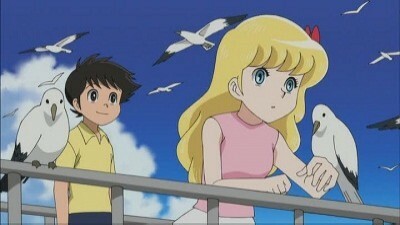 Back at the Kurogane House, Kouji admits he was wrong to mistreat his allies and resolves his dispute with the Robot Corps.